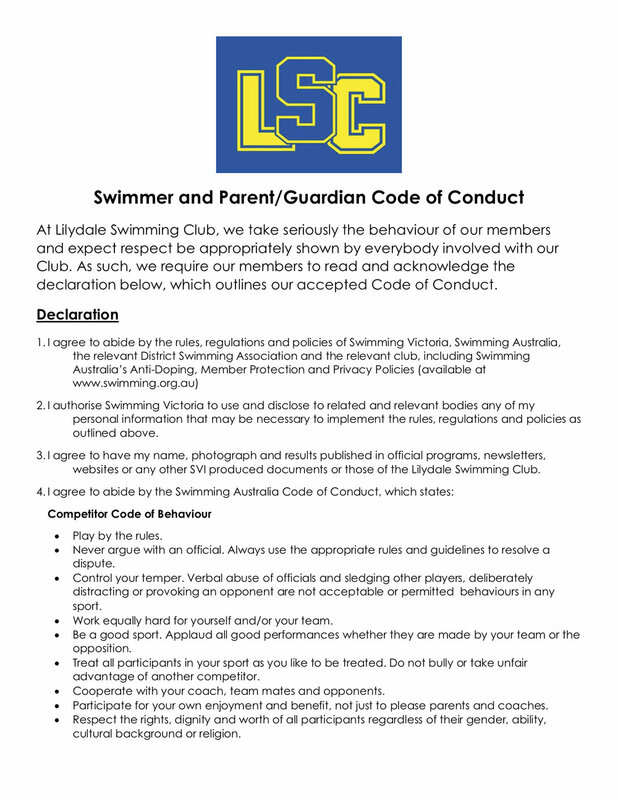 Lilydale Swimming Club is committed to providing a safe environment for our swimmers. 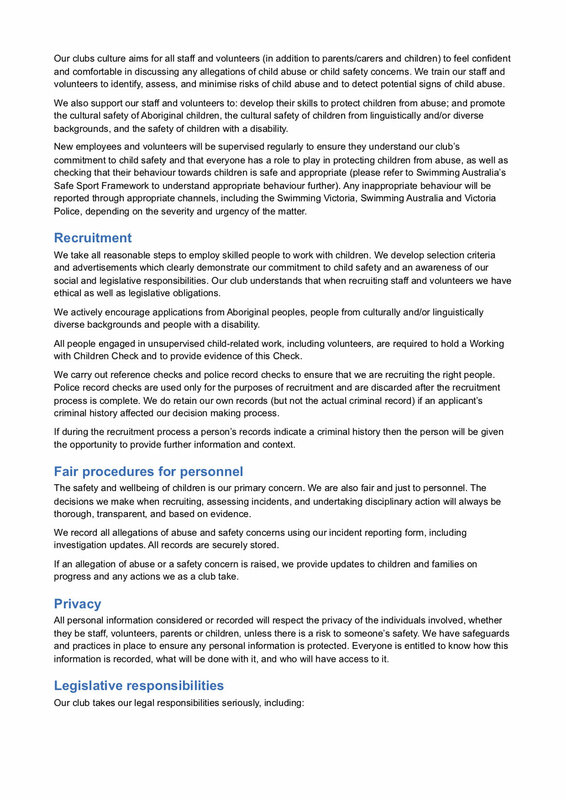 Below is our Child Safety Policy and the Code Of Conduct we expect all members to follow. 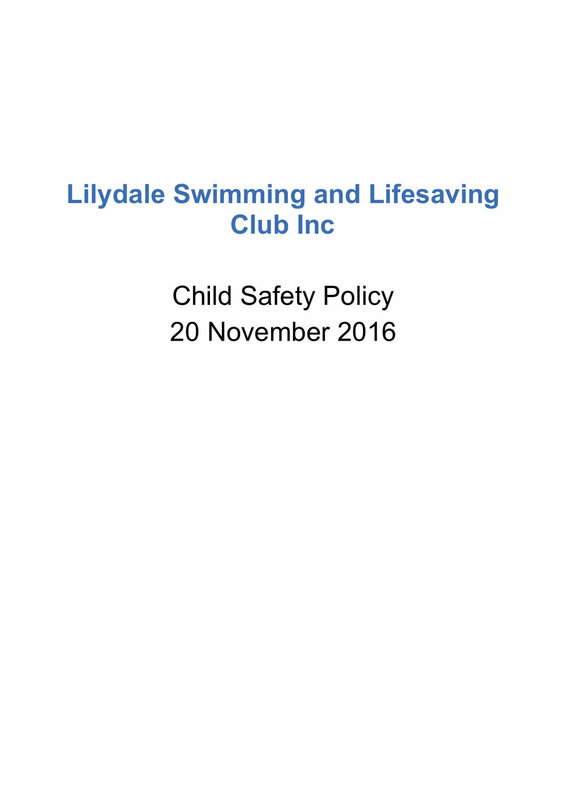 The following websites also provide additional information regarding Child Safety and involvement/inclusiveness in Swimming.